International Holocaust Remembrance Day (Yom HaShoah) and everyday. 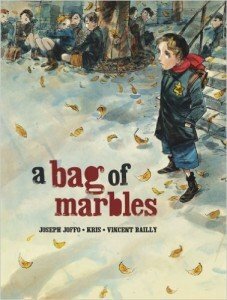 A Bag of Marbles: The Graphic Novel by Joseph Joffo, Kris, & Vincent Bailly (Kar-Ben; Paperback $9.95, Ages 12-18). In 1941 Paris, two Jewish brothers must flee together to the free zone. The journey is dangerous, and safely escaping the Nazis will demand the boys’ level-headedness, courage and ability to lie about being Jewish. Based on the bestselling true story of Joseph Joffo. A must-read for middle school and high schoolers studying the Holocaust. Detailed artwork is moving and skillful. 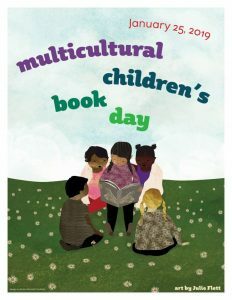 Let The Celebrations Begin! 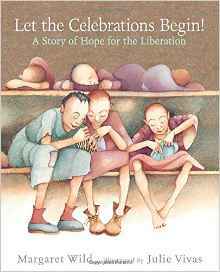 A Story of Hope for the Liberation by Margaret Wild with illustrations by Julie Vivas (Candlewick Press; $16.99, Ages 7-10). 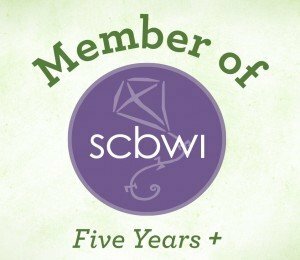 Also based on a true account, this picture book idea grew out of the author’s reading about stuffed toys “Polish women in Belsen made for the first children’s party after liberation.” Wild’s moving story brings humanity to what was a dehumanizing situation in the concentration camps and tells of hope and renewal where there had once only been death. 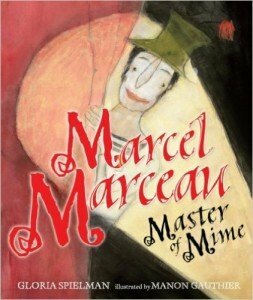 Marcel Marceau: Master of Mime by Gloria Spielman and illustrated by Manon Gauthier (Kar-Ben; $17.95, ages 8-11). There are many mimes, but there is only one Marcel Marceau. In Spielman’s compelling children’s biography complemented by subtle artwork from Gauthier, we learn of Marceau’s early inspiration, the silent film star Charlie Chaplin, as well as his childhood growing up in Strasbourg, France, close to the German border. The son of a Jewish kosher butcher, Marceau and his older brother Alain fled to Limoges when, on September 1, 1939, Germany invaded Poland and the French government ordered the people of Strasbourg to leave their city. Helping a cousin in the Resistance, Marceau, on numerous occasions, also helped children escape across the border into Switzerland.